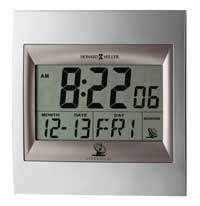 Techtime III 625-429 Two-tone satin silver LCD display alarm clock with Americana Cherry finished wood accents. 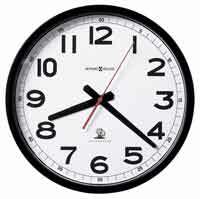 Large 2" numerals display the time, with selectable 12 or 24 hr. time format. Day of the week, month, and date are also displayed on the dial. May be wall mounted, or displayed on a tabletop using folding easel stand. Radio controlled, battery operated movement. 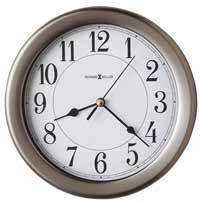 Size: H. 9-1/4" W. 8-3/4" D. 1"
Clocks for sale at The Clock Depot including the 625-429 at discount prices.